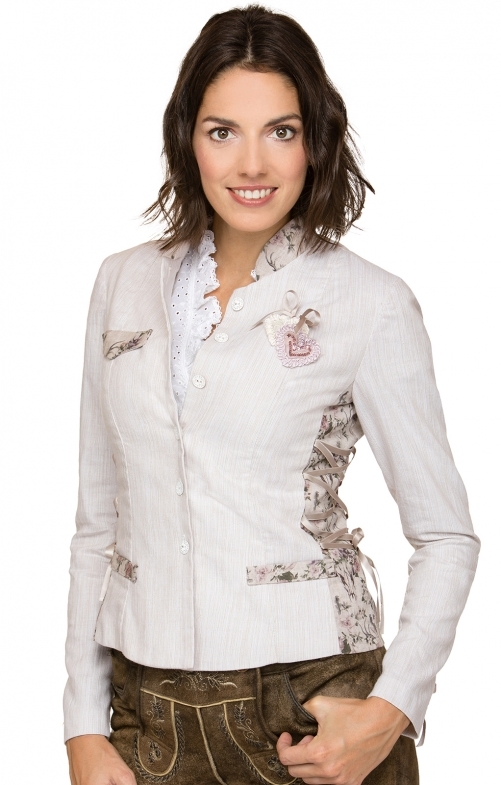 Country coat jacket Elba for women by Stockerpoint in cream. Thanks to the waisted cut, the traditional jacket of high-quality cotton, linen mix gives a feminine silhouette. The small raised collar as well as the darts in the waist area of ​​floral deer motive give the jacket that certain something. The lacing on both sides and many other details underlined the feminine design.